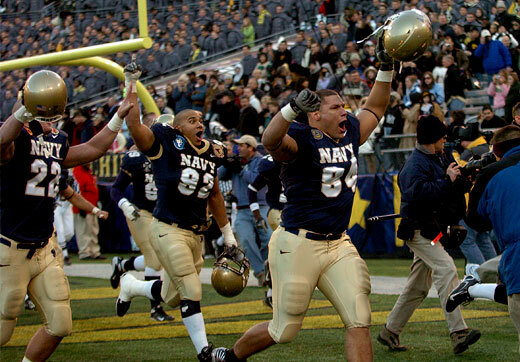 Navy–Marine Corps Memorial Stadium is an outdoor stadium located near the U.S. Naval Academy campus. It is home field of the Navy Midshipmen football team, the men’s lacrosse team, and Chesapeake Bayhawks lacrosse team. Since 2013, the venue plays host to the annual Military Bowl. In addition to college sports, the stadium was once used for soccer during the 1984 Summer Olympics.